This work presents methodology and results used to estimate both wind and solar energies availability and their cost. The objective is to analyze the potential of these two major sources of alternative energy in Tangier region and to show their ability to replace fossil fuel energy sources especially for remote areas and agriculture applications. Thus, energy availability and its cost for these technologies are determined based on meteorological data, and their engineering and technical characteristics. The obtained results provide the hourly average energy production (in kWh) and its cost (in USD/kWh) for a maximum designed power output of 5 kW for each technology and for each month in the year. Thus, these results show that energy production cost is ranging between 0.01 and 0.3 USD/kWh for solar energy using photovoltaic panels and it is ranging between 0.05 and 0.35 USD/kWh for wind energy using wind turbines with rated power equals to 1 kW. 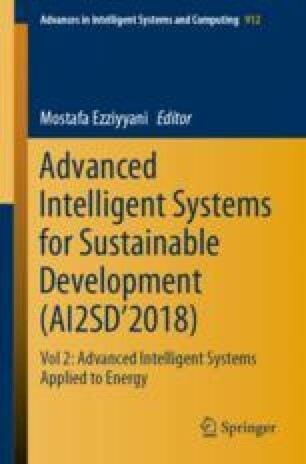 Results of this work could be used as data estimation reference for engineering and research works related to renewable energy applications in the studied region. Financial and Technical support of the “Université Internationale de Rabat (UIR)- TIC LAb” is gratefully acknowledged.